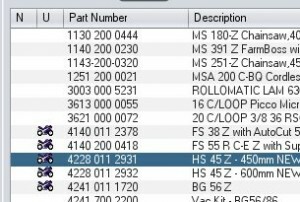 This version includes changes to receive spares to make process of receiving units for power equipment suppliers alot easier. 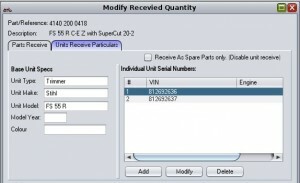 The receive process can now be used to receive spares and units. 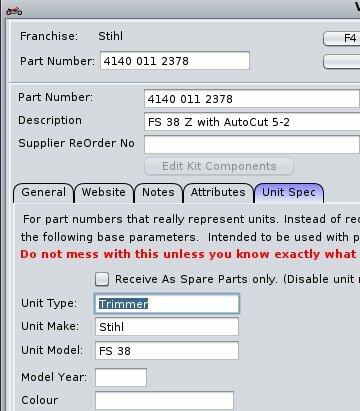 Especially useful for P/E suppliers who will put things like trimmers etc on an invoice with parts. Then in receive spares section parts and units are denoted with an icon on receive screen. 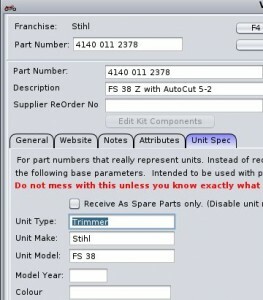 On modifying unit items, you can specify specific per unit particulars. Such as vin/serial numbers. 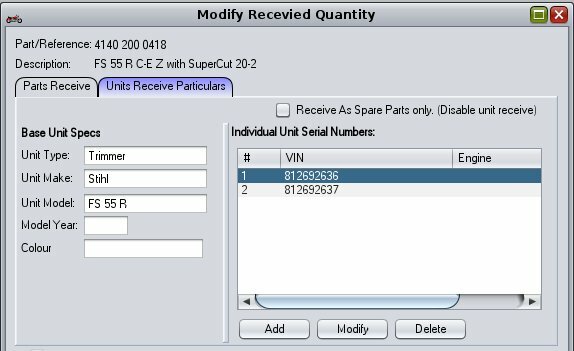 When using c9's Electronic import option, c9 will guide operator through process of filling in missing data as needed during receive. So receive process should be fairly intuitive. Business -> Activity. Allow deletion of goods only units from this screen. Under some circumstances a checklist would not refresh correctly. For example, a job with a single estimate, if you removed the estimate checklists associated with that checklist would not automatically clear.